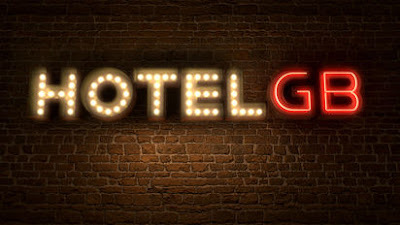 Paddy McGuinness will be front of house when he presents Hotel GB, the new Channel 4 series in which some of the channel's most popular faces, including Gordon Ramsay and Mary Portas, take over a hotel to raise money for charity and staff it with unemployed people. The comedian and presenter will host the series' two live shows airing on Monday 1st October and Friday 5th October at 9pm to guide viewers through all the action from the hotel as it opens its doors to the public. And in the live final on Friday 5th October he will reveal which team has earned the most money for charity and which of the trainees have managed to secure jobs. In Hotel GB Gordon will run the restaurant and Mary will be in charge of hospitality. They will be supported by a team of illustrious helpers. In Gordon's team Gok Wan will run the bar and events, Phil Spencer will be Maitre d' and Dr Christian Jessen will head up the gym. And in Mary's team Kim Woodburn is Head of Housekeeping, Kirstie Allsopp will be the Concierge and Katie Piper will run the Spa. And in addition to the two teams, Hilary Devey will run Devey's, the hotel shop. Paddy said: "I've stayed in a fair few hotels in my time on the road and I know good hospitality when I see it. The celebrities and trainees need to be on their toes. Whether it's a fly in the soup, or a suspiciously curly hair in the sink, they will have to tend to our guests' every need. I can't wait to bring you all the action live and direct from Hotel GB." From the restaurant, to the rooms, from the functions to the guests, Hotel GB will be slick, exciting and packed full of surprises. For the Channel 4 stars the challenge is to ensure the hotel makes as much money for The Prince's Trust and Springboard charities as possible, and to get their trainees into full-time employment by the end of the week.